Scooters are becoming an inexpensive and popular mode of transportation for college students in Provo. Athena Arkansas, a 20-year-old from Cherokee, North Carolina, bought a scooter when she first moved to Provo. Scooters are a convenient option for students looking to drive to campus because of the amount of scooter and motorcycle parking options. Scooters are also easier to park in between cars, allowing students to park virtually anywhere on the street. 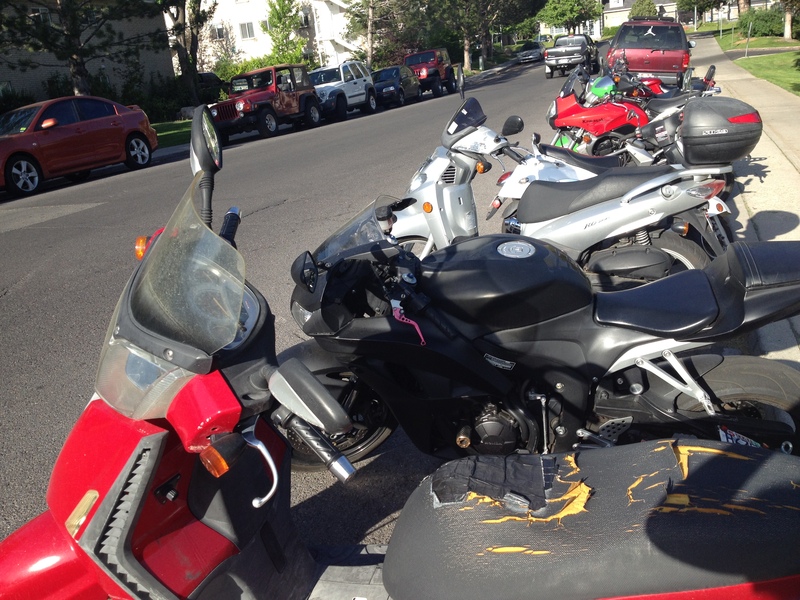 Parking isn’t the only benefit that is making scooters so popular among college students in Provo. Scooters get great gas mileage, which makes them an affordable option as gas prices rise. Arkansas drives her scooter everywhere around Provo and campus but only spends an average of $7 per month on gas. Samantha Buschlen, 21, is currently saving up money to buy a scooter. Growing up in Corona, California, she was surrounded by people who spent the whole year driving scooters around town. 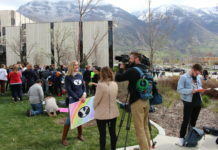 When she moved to Provo, she was surprised that scooters are so popular in a cold-weather state. Scooters lining the streets is a common sight in the summer in Provo. The warm weather makes scooters a fun option for transportation in the summer. The low costs of scooters attract many other college students like Arkansas and Buschlen. Depending on the type of scooter, they can keep up with other cars on the road. Courtney Clegg, a biology major at Utah Valley University, has a special affinity for her scooter. She even named her scooter Tyrone. Like Buschlen, Clegg loves how easy it is to get around town on her scooter and the feeling of the wind in her hair. Even though scooters are fun options for college students, safety on the road is still a concern. Maneuvering a scooter is different from a car. The size that makes parking so easy also makes driving more dangerous. A rock or a pothole could knock the rider off the scooter. Normal cars on the roads are also less likely to see a scooter. Clegg encourages other drivers to be careful around scooters and to show them respect on the road. Erica is a public relations student who loves hiking, camping, and the Baltimore Ravens.